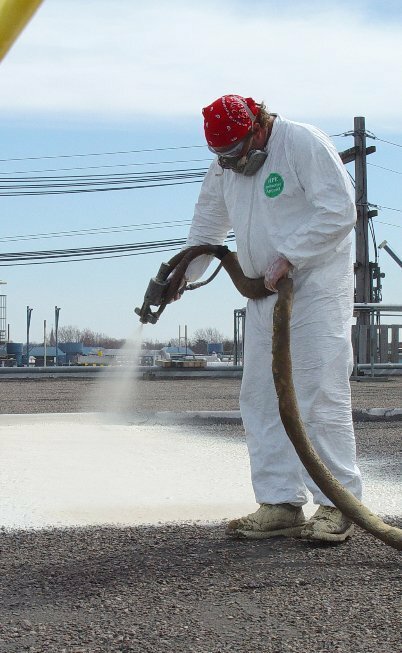 Conklin’s Spray Polyurethane Foam (SPF) Roofing System is a great way to provide high-grade roof insulation for superior protection from the elements around. With an insulation value of R6.5 per inch of thickness, SPF effectively controls air infiltration and reduces cooling and heating costs. During the restoration process, the entire roof is insulated with SPF (at a minimum thickness of one inch) and sealed with a reflective finish coat. Rubber Roof Repair Kansas City, MO.